PCA $25k Single-Day High Roller II — Justin Bonomo Wins! 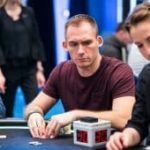 HoldemRealMoney.com > Uncategorized > News > PCA $25k Single-Day High Roller II — Justin Bonomo Wins! A High Roller event that took place as a part of the Poker Caribbean Adventures has come to an end with Justin Bonomo winning the title for $383,650. The event lasted for 11 straight hours and Justin Bonomo proved to be the most skillful player, defeating Jesus Cortes in the heads-up play, along with all the other high rollers that took part in this event. This year started just like the previous one for Justin and 2018 was not only his best year but also the best year of any poker player ever as he managed to top the money list and become the richest poker player ever. This is his third cash so far in 2019 as he finished on the fourth place two times before that including the $10,000 High Roller and $50,000 Super High Roller. Needless to say, the American poker player has huge plans for the future and is prepared to take part in numerous High Roller events that are yet to come. The first start is another $25,000 High Roller event which he will play before he ends his stay at the Bahamas. He’s the runner-up in this event, also managed to earn a nice sum of $265,000. However, it was a great payday for him as he also managed to win a huge sum in the $100,000 Super High Roller, which is now his largest live tournament cash ever. He returned to the live poker scenes after a while and showed to the world that he is still kicking it. The final table action started with the best eight players, six of whom were to enter the pay list. The first one to actually get kicked was Cortes, but there was a single re-entry that was allowed so he made sure that he uses his second chance and get as far as he could this time. The start of the tournament saw a total of 47 entrants who were able to create a prize pool that was approximately $1.1 million. The eliminations were quick and frequent before they narrowed down to the last eight players. Some of the players that did not make it to the pay list include Mikita Badzaikouski, Henrik Hecklen, and Pablo Cabrera. The bubble burst and the player who ended up in the sixth place was David Peters who managed to earn a total of $79,000. He was followed by Nick Petrangelo who won $101,560, and Igor Kurganov who was on the fourth place with $129,780. Steffen Sontheimer was the player who hit the rail last before the heads-up play and he earned $169,280. Cortes and Bonomo were pretty much even when they entered the last phase of the game, but Bonomo managed to make a huge lead at the start. Cortes did his best to get his chips back but it was all in vain as Bonomo who had pocket sixes in the last hand and won the hand and the event with them.